Space is generally at a premium in your static caravan or holiday lodge, especially when you seem to have accumulated many garden tools, a barbeque, children’s outdoor toys, bicycles, not to mention all your wet weather gear; waterproofs, boots, Wellingtons and possibly even fishing gear or other hobby equipment. The interior of your caravan may have limited storage or you may be lucky to have under-seating storage boxes and possibly a lift-up type bed with storage underneath. But there never appears to be sufficient cupboard space for all of those necessary items that you cannot do without. It’s important to maximize your static caravan outside storage possibilities and here are some of the most practical. 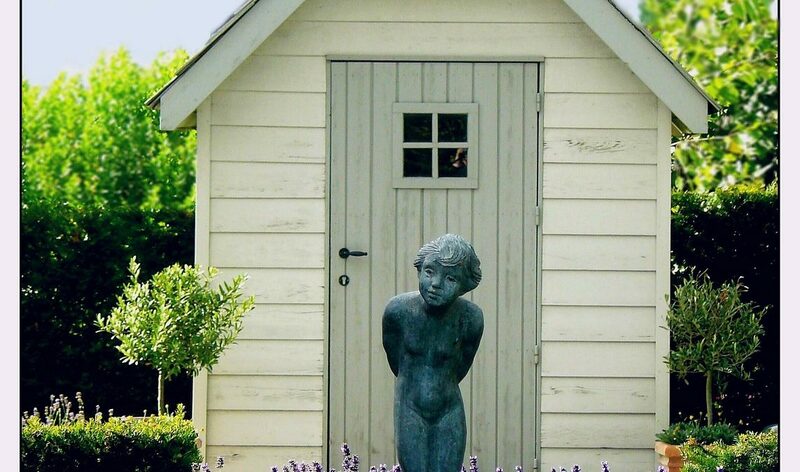 No matter how compact your plot may be, you will most likely be able to find room for a garden shed of some sort. This will accommodate larger items such as bikes and lawnmowers. The majority of timber or metal sheds will have a lock fitted with the added advantage that you can fix an outdoor sensor light to the exterior for additional security. If your site allows skirting or boxing off around the base of your caravan, which can be completed with either timber or UPVC planks; this will provide a hidden storage area for any possessions that will not be affected by being exposed to weather conditions. An access door with a security bolt and padlock can be installed for ease of access. In order to comply with current codes of practice and gas safety any storage unit for Gas Bottles must be fire -resistant, safe and secure. There are several types available to disguise and safely store you gas and propane bottles, manufactured in either steel or PVC coated steel which is more aesthetically pleasing. It is recommended that these storage units are fixed to a level concrete base. There are several options available to either purchase or make yourself if you are handy at DIY. Plastic units come flat-packed and are easy to clip together, offering practical, waterproof storage plus a seating option with under bench area for your garden cushions or small garden tools. Timber type static caravan outside storage seating can be stained to match your garden fencing, or painted in pastel colours to brighten up your garden plot. Whichever type of storage option you choose always remember to keep your tools and other valuables under lock and key, fixing a padlock or mortice type lock to your garden shed or storage box. Your caravan insurance may not cover items outside of your holiday home, so check the policy documents to ensure your possessions are covered at all times. Remember, if you need any help or advice on matters to do with your holiday home site, static caravan outside storage solutions or Insurance information, please call into the office at Sirior Bach Caravan Park where we will be happy to help and advise you.